Trillium Health Centre - Strasman Architects Inc. 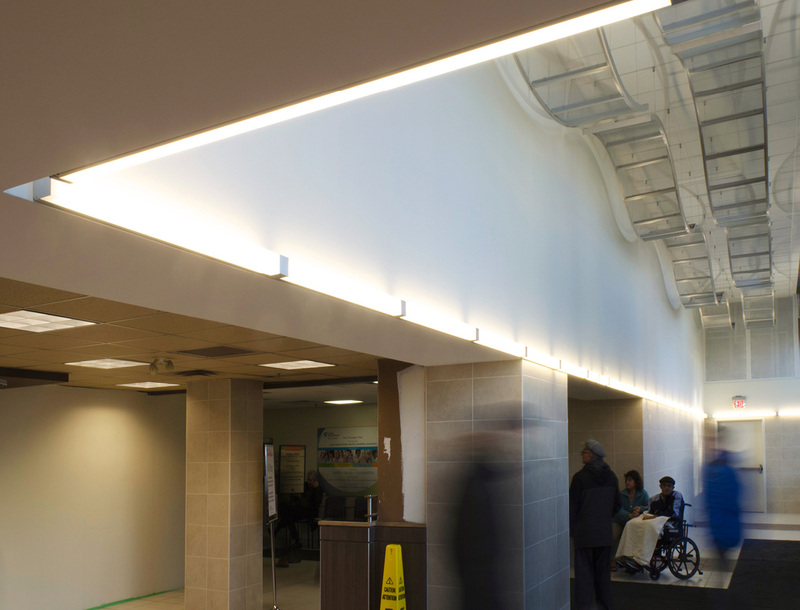 The Hospital required a retrofit of their existing main and north entrances at the Mississauga Site facility to incorporate expanded retail and waiting program, as well as improving circulation and wayfinding problems. 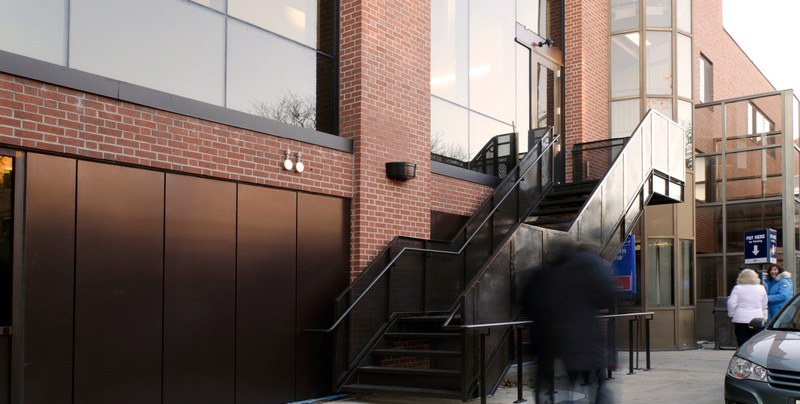 The primary challenge in the design and implementation of the project was to maintain operations of the entrances and minimize disruption to patients and staff. The solution entailed a multi-phased approach that considered access, life safety concerns, impact to adjacent clinical areas as well as construction feasibility. The new entrance will provide a bright and open double height atrium waiting and retail space with abundant natural light through the new floor to ceiling windows. A stone finish porcelain tile is used throughout the space to create a welcoming sense, while still facilitating the Hospital’s infections control and durability standards. 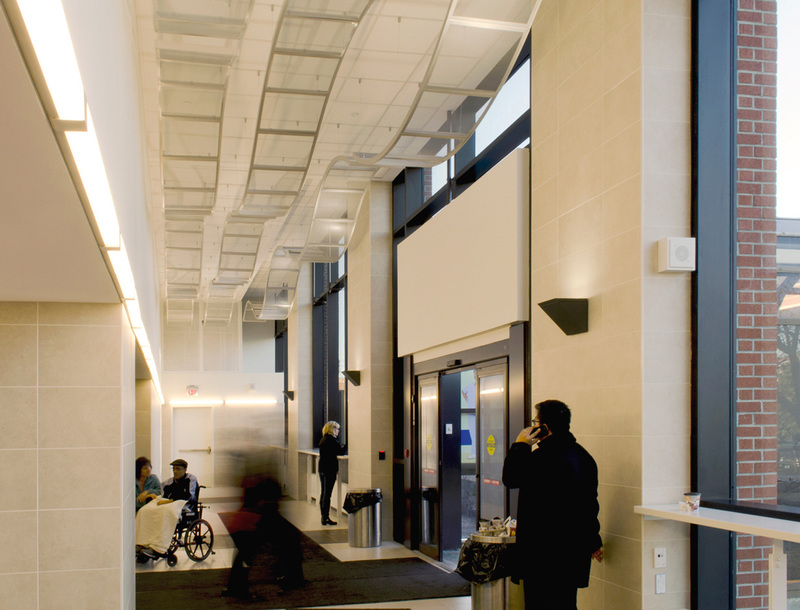 A decorative suspended ceiling installation serves to define the space and reinforce its role as a comfortable gathering place, and promote the corporate image of the Hospital as a community centre. The expansion of the north entrance will also create additional waiting and retail space, and will serve to bring more natural light deeper into the facility.